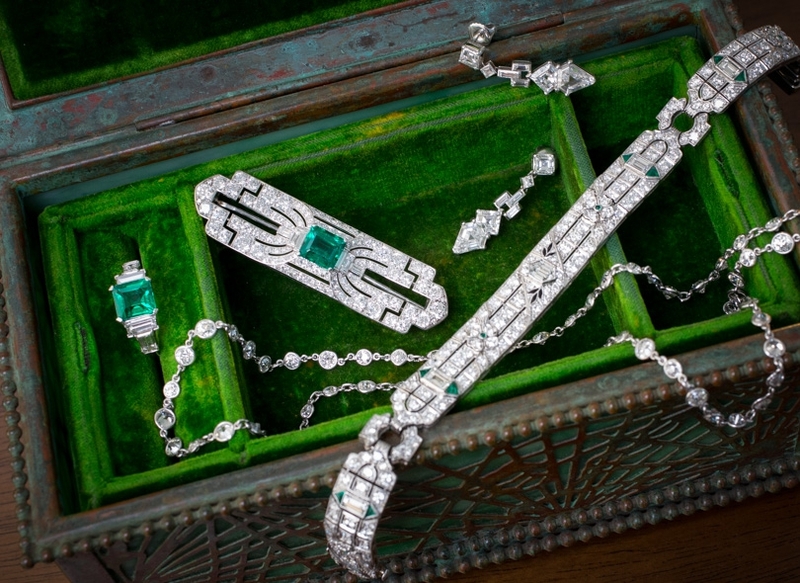 A breathtaking, translucent, vivid green Burmese jade is highlighted between shimmering sprays of icy baguette-cut diamonds flanking the jade. 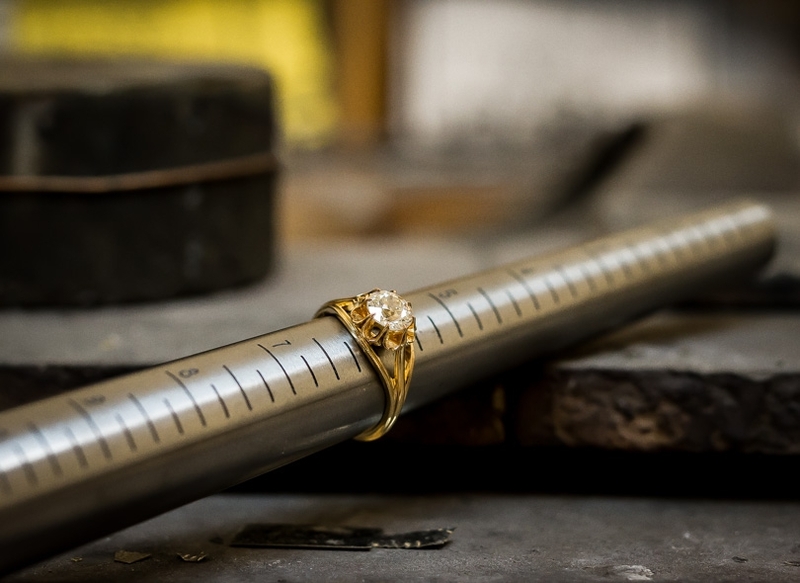 The platinum mounting is hand fabricated and exquisitely executed with a meticulously detailed double gallery in the raised basket style profile. 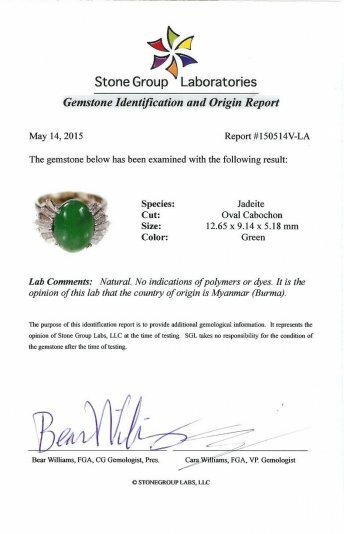 Burmese Jade (Jadeite) Cabochon: 12.5 x 9.5 x 5.1 millimeters - accompanied by a GIA grading report stating natural color and by a Stone Group Labs report stating: Natural. 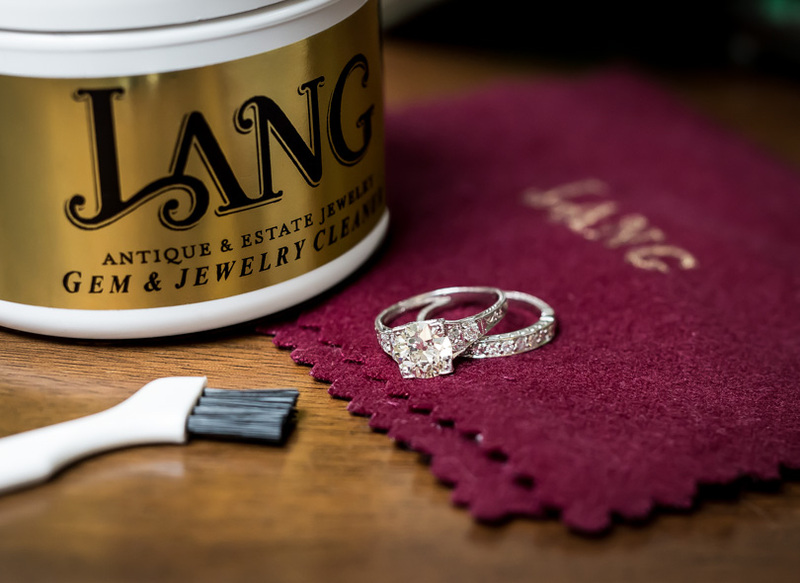 No indications of polymers or dyes. It is the opinion of this lab that the country of origin is Myanmar (Burma).